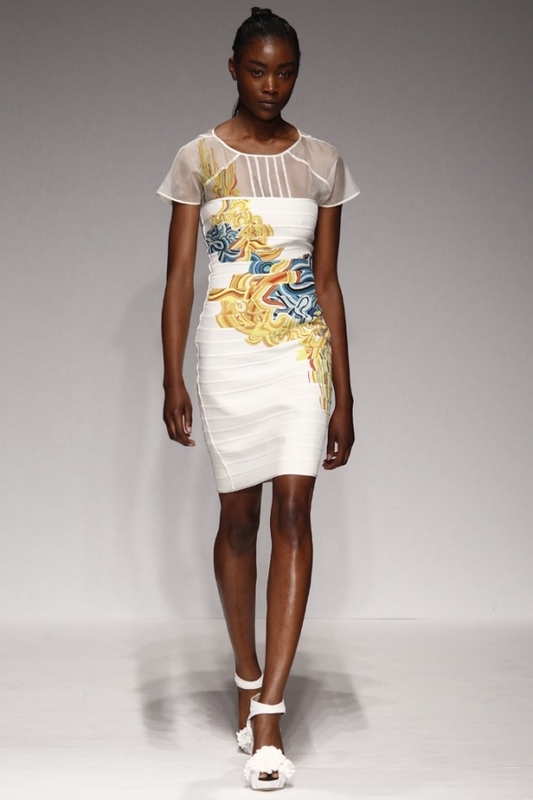 Emilio de la Morena Spring 2012 - London Fashion Week. Fresh style ideas are starting to pop up at the London Fashion Week and the Emilio de la Morena brand is certainly doing its part to provide fashionable, simple, yet eye-catching feminine options for the upcoming season. Get a better glimpse of the best styles promoted by the brand next! 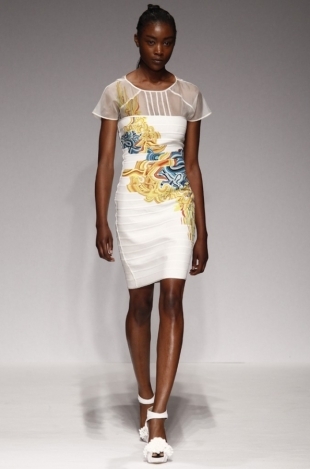 An early glimpse of the new fashion trends is always exhilarating, especially when the runway styles can easily be seen as real life alternatives and the Emilio de la Morena brand has worked to bring this exact concept into reality for spring 2012. With femininity as a core concept, the collection designed by the brand combined simplicity and subtlety into lust-worthy creations that undoubtedly attracted attention and favorable reviews. With subtle style details such as cutouts, sheer details or eclectic prints, the skirts and dresses spotted on the runway have an elegant touch, even though there are a few designs that can be definitely considered on the more casual side, without too many print or color clashes that could prove problematic in terms of mixing and matching or other types of concerns style wise. Elegant silhouettes and body hugging designs definitely highlight a preference for modernism, yet at the same time the floaty skirts are a detail that suggests an inspiration from the past style influences which have also inspired the current designs. Overall, the simple, chic yet extremely elegant and feminine vibe of the collection has certainly made the debut of the London Fashion Week an exciting one.